This February we are celebrating the 100th anniversary of women in Britain being granted the right to vote. The Representation of the People Act, which became law on Feb. 6th, 1918, gave the vote to women over 30 who were occupiers of property or married to occupiers. Admittedly this was limited: although I would be enfranchised, some of my colleagues here at the shop would not. It would take another ten years for full women’s suffrage. That being said, it was a huge success for the women’s suffrage movement, which as we will see from some of my chosen Library Collection books this month, had been growing from strength to strength in the years leading up to World War I. First up is The Woman Question in Europe (1884), a collection of essays from women across Europe who were involved in the positive progress of the ‘woman question’. It’s a well-intentioned and fascinating bit of comparative social history. In her chapter on electoral rights in Britain, Millicent Garrett Fawcett outlines the contemporary state of women’s suffrage in England. The name of Fawcett may be familiar to you: this pioneering feminist has recently been in the news, being favoured to be the first woman to have her statue in Parliament Square – ahead of Baroness Thatcher (and indeed Emmeline Pankhurst who is in nearby Victoria Tower Gardens). She was also one of the founders of Newnham College here in Cambridge. 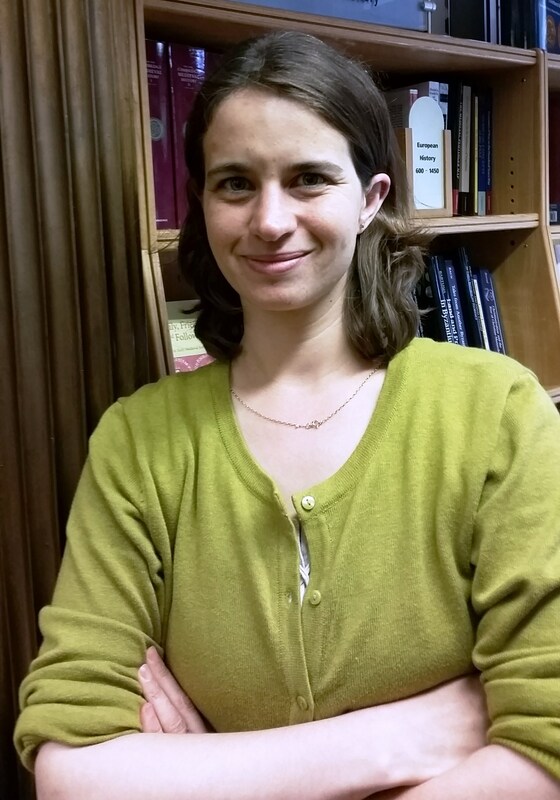 As well as contributing to this comparative study, she’s the author of another of our texts, Personal Reminiscences, which looks back on the suffrage movement and its achievements from 1920 (more of which below). Fawcett reminds us that women were asking for enfranchisement only in those cases where they met the same conditions as those men who had the vote, i.e. held property. 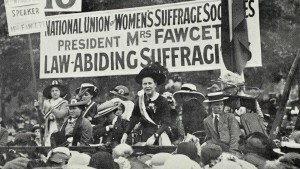 The 1880s marked a phase in the suffrage movement where mass demonstrations and peaceful rallies were becoming commonplace; suffrage, previously the concern of the educated and higher class women, was now moving from an intellectual pursuit into the “rank and file of women themselves” (p. 15); from drawing room to town hall and beyond. It is a reminder, however, of the fact that it was still necessary for the women’s case to be argued by men in parliament. There were some strong voices in their favour (notably JS Mill), but at this stage the prevailing sense was frustration. Remembering this helps to explain the militancy of some twentieth century suffragettes. Next is Margaret Mary Dilke’s Women’s Suffrage, first published in 1885. From 1878 Dilke was an active member of the National Society for Women’s Suffrage, and later treasurer of the Central National Society for Women’s Suffrage. Written at the same time, but in a very different tone from Fawcett, Dilke’s is a rapier-sharp book in which she challenges and takes-down the major anti-suffrage arguments and nonsense that were spouted in certain quarters of the contemporary political scene: “women have suffered at least as much from the ignorance of men as to their real wants and wishes, as they have from any deliberate intention of legislating against them” (pp.26-7). This is a far more scathing indictment of the anti-suffrage movement than the previous work, but it is supposed to be. Dilke was politically astute and angry; the book is fast-paced and a pretty exciting read. She would be great on Twitter, describing “politicians whose brains are not distinguished for lucidity” (p.56) and stating “the rights of parents over their children are certainly very simple, if not very just. One parent, the father, has all the rights. The other, the mother, has none” (p.67). Indeed, the chapter “Women’s Grievances” should be required reading for all people today who don’t use their vote. It’s brilliant and furious stuff, yet full of clarity and succinctness of message. I am reminded of the term “spinster cluster” here, used to describe the leftover genteel women cut out of inheritances and with no way of earning money who banded together in groups of relatives and close friends in similar positions to pool their resources. It’s an arrangement seen time and again in the novels of, for example, Jane Austen. It is higher education which Stopes believes brought women to the point where they are now independent enough of men to earn their own livings, albeit for less pay, although they are still oppressed “by man’s power of place, which gives him power of veto; by inherited thought-fallacies and linguistic inaccuracies; by the nature of the medium through which things are seen.” (p.204). 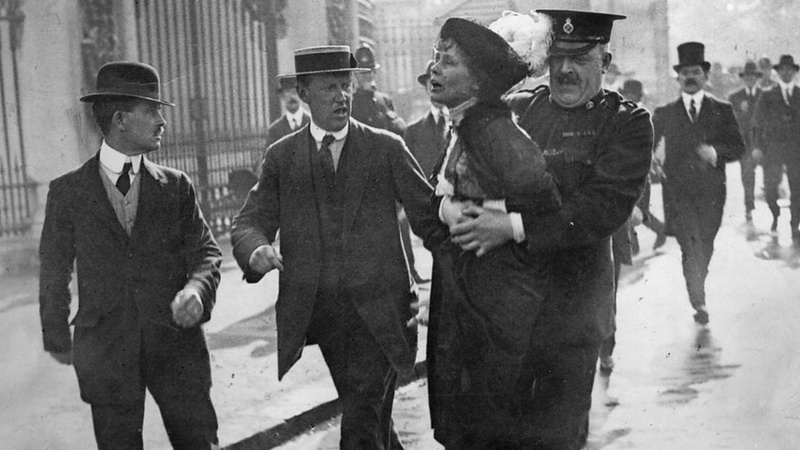 It is generally accepted that it was World War One that finally brought the political and social state of Britain into the right climate to accept women’s suffrage as expedient and necessary. The last couple of books were written after the war, after the 1918 Act, and when enfranchisement was moving towards its next hurdle: full adult suffrage (achieved in 1928). 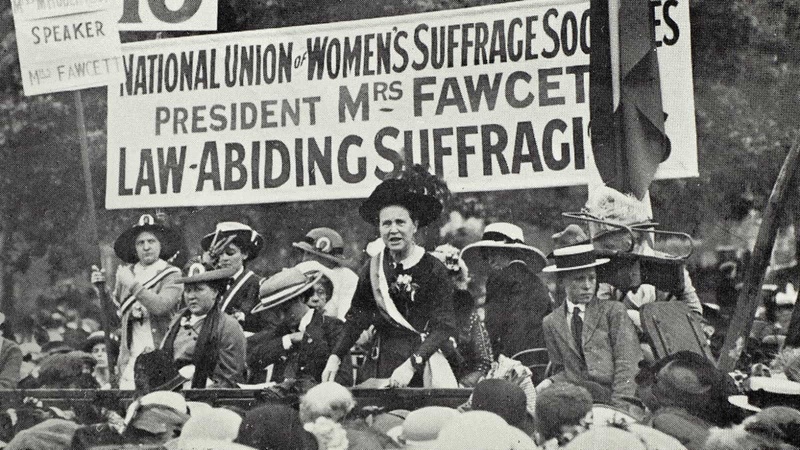 We return first to Millicent Garrett Fawcett whose book, The Women’s Victory – and After, Personal Reminiscences, 1911–1918, outlines how the tide finally turned towards the women’s vote in 1918. Highly critical of parliament which, in 1912, seemed “scarcely capable of giving intelligent attention to any subject unless it is forced to undertake the excruciating pain of thought by the demands made by voters in the constituencies” (p.40), Fawcett is nevertheless a moderate and non-militant. We demand equal pay for equal work. And we demand an open field for women in industrial and professional work. We demand the immediate reform of the divorce law and the laws dealing with solicitation and prostitution. An equal moral standard must be established. The Government is in favour of widows’ pensions in principle. By constant pressure we mean to make the House of Commons turn principle into practice. We demand pensions for civilian widows. Women must speak for themselves as well as vote. We want to extend the women’s franchise, and we are determined that women candidates holding our equality programme shall be returned to Parliament at the next election. At present women are not legally recognized as the guardians of their children. We are working to secure equal rights of guardianship for both parents. I leave you to assess for yourself how effectively those demands have been met a century later. Last but by no means least, let’s have a look at the Letters of Constance Lytton, first published in 1925 and edited by her sister, Betty Balfour. Lady Constance was a suffragette of the more infamous kind: brave and influential she not only used her position to influence politics at a high level, but also took to the streets, disguising herself as a working-class woman and undergoing hunger strikes and force feeding in order to experience and expose the physical struggle on the street-level of the suffrage movement. These diaries, although incomplete, give a striking and moving first-hand account of the movement through all levels of society and the disparity of the treatment of the women from different classes. She continued to work tirelessly for the movement until she suffered a stroke in 1912. She had recovered enough to begin her book Prisons and Prisoners in 1913. She completed this in 1914 before the outbreak of the War and the change of tactics that brought an end to the militant suffrage protests. Con remained active in her efforts to help various causes through the war and afterwards, although she was physically unable to do much. She died in 1923. These books give the reader a real sense of how exhausting and demoralizing it must have been for these women and supportive men arguing their corner for suffrage against such deeply-engendered misogynies and illogical fallacies. As we enter the next 100 years, let’s look forward to building on these hard-won rights for women across the world.